If you meet me on Main Street often, then you know I have picked out the Masonic Temple building on Church Street in Rocky Mount as the site of a Boutique Hotel. I see flags over the front door as if it were the Plaza in New York and when I found Mehmet Ildan’s quote, it suited my fantasies of the hotel to a tee. Alas, my idea may not be meant to be considering I have lost the name of the man who owns the building at least four times, (unlike me) and people who have contact information can’t find it when they go to give it to me. It is hard to overwhelm the owner with my great idea if I don’t have a chance to work my charms. If this is a sign, I’m not immune to them. 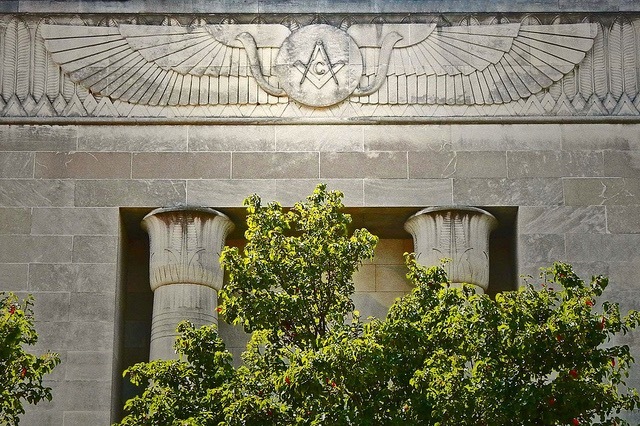 So for now, hold the thought of some bright young woman or man at the registration desk saying, “Welcome to the Masonic Hotel.” Enjoy some information about our very own architectural delight that we can be proud of. 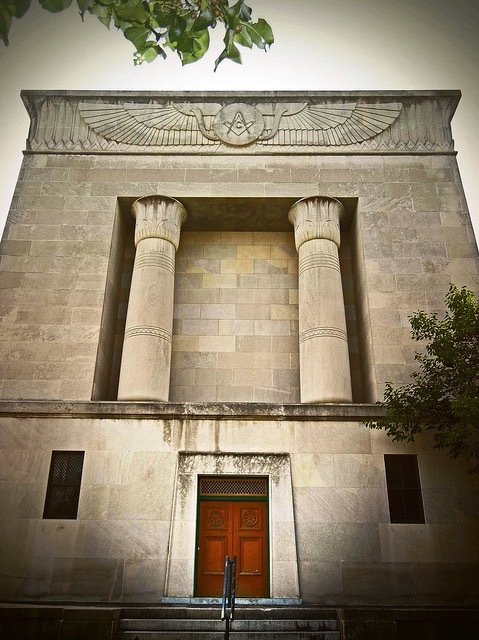 The Masonic Temple building is significant and is the only example we have of The Egyptian Revival Period that flourished during the period 1820-1850. It made a comeback during the 1920s with the Art Deco style and the fascination with the discovery of King Tutankhamen’s tomb in 1922. 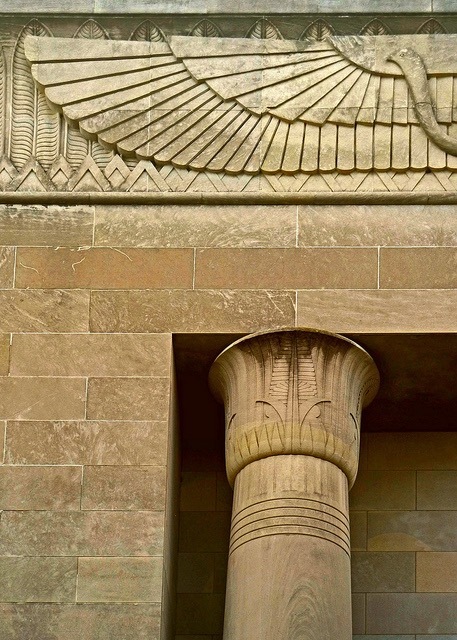 The Egyptian Revival was popular in American decorative arts throughout the nineteenth century, continuing into the 1920s. The major motifs of Egyptian art, such as obelisks, hieroglyphs, the sphinx, and pyramids, were used in various artistic media, including architecture, furniture, ceramics, silver and fashion. The style was used in public and educational buildings; churches; cemetery entrances, memorials; but in very few homes. Our building was erected in 1927 to replace the city’s Masonic Temple and Opera House. It was designed by architect H. Robert Diehl and built by S.S. Toler and Son. The limestone veneer features lotus columns and a wing motif. Drive past with a new eye and show it off to your guests when they are in town. Show it all off! Start at the Bus Station, walk across the lovely hardscape to the Train Station. Take your family, drive around. It isn’t all pretty. There are buildings that are waiting for a new life, some discombobulated, for sure, but think preservation, find one and adopt it in your heart to wish good things for it as I do for the Masonic Building and beyond. Get in touch with me so I can write about your memories of these wonderful places. Let’s continue to honor the past while building a future. 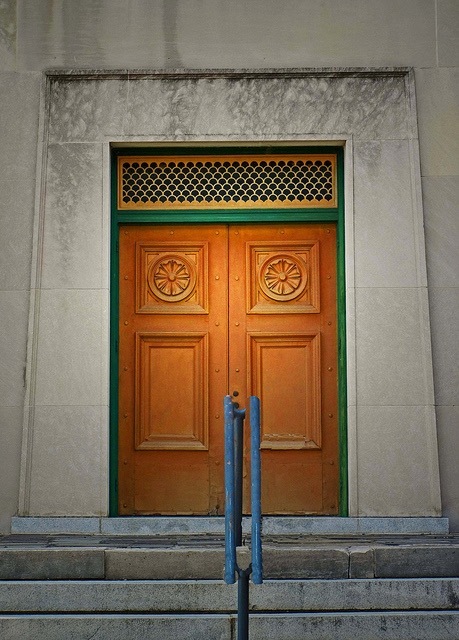 This entry was posted in Rocky Mount Building Preservation and tagged Architect H. Robert Diehl, Architecture-Egyptian Revival Period, Builder S.S> Toler and Son. Bookmark the permalink. Do they ever conduct tours of the Masonic Lodge? Wonderful column about a wonderful building. Love the “Hotel” idea.